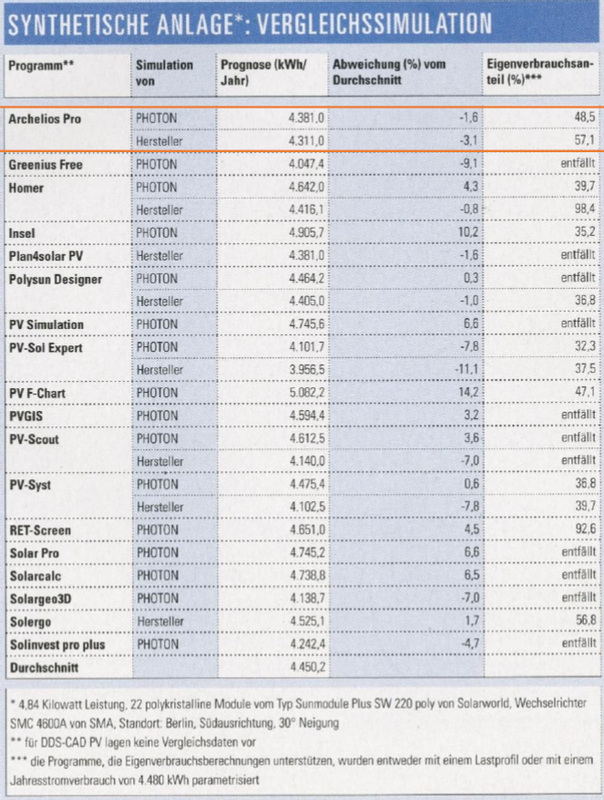 Photon Profil – German Branch of Photon International- conducted a comparative study amongst the main photovoltaic pieces of software for the design, simulation and yield calculation in the market. 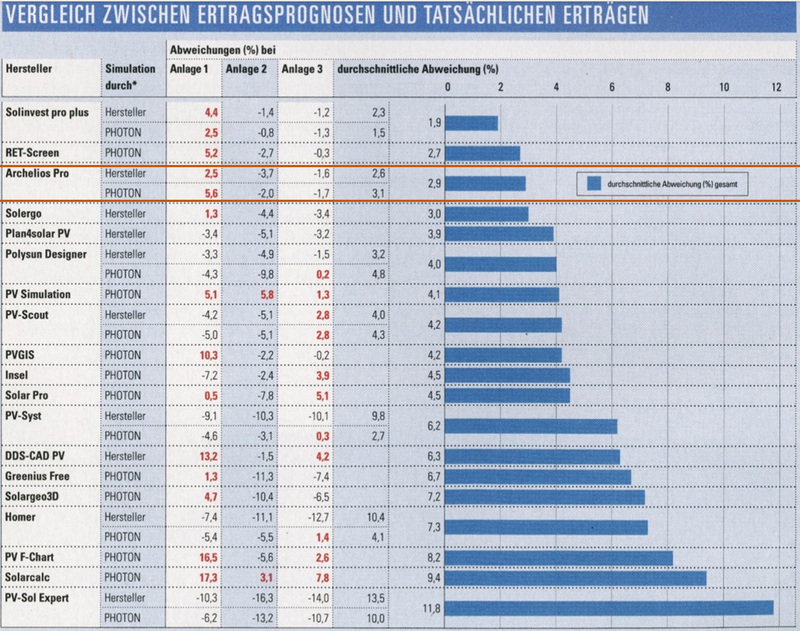 Photon Laboratory compared the results of 24 software and calculators according to the real results of existing photovoltaic installations. 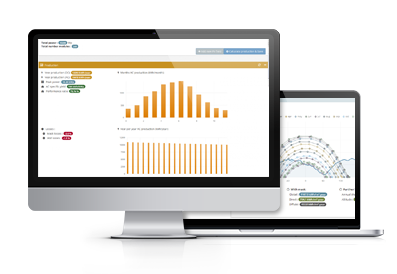 According to Photon, the majority of these software gives “usable” yield prediction, from which 11 were considered as very good by providing between 2 and 5% of difference to the actual results. The results show that neither some of the pieces of software considered as market references nor the most expensive happened to be the more reliable. *4,84 kilowatt power, 22 polycrystal line modules from Solarworld, type Sun module Plus SW 220 poly, invertir SMC 4600A; facility site: Berlin, south-orientation, tilt angle 30°. **no comparative data available for DDS-CADPV. ***the programs capable of carrying out in-house calculations were parameterized either with a load profile or with an annual power consumption of 4,480kWh. For the values marked in red, the forecast yield is higher than the actual yield. *The PHOTON Lab did not succeed in providing an effective system modelling with all programs. On the other hand, not all manufacturers (Hersteller) responded to our invitation to make a simulation with our system and weather data.